Do you want a new Jaguar, but don’t know what to do with your current one? Visit us at Jaguar Englewood. We want to make you an offer on your current Jaguar model and take it off your hands. Come into our dealership to see what we can offer you even if you don’t plan on buying new from us. Bring the vehicle in: While it isn’t necessary to make an appointment, we recommend it. Once you bring your Jaguar in, we can help you start the process. Get an expert appraisal: Have a seat with some warm coffee while you wait for one of our team members to appraise your vehicle. It should only take about 30 minutes, giving you plenty of time to ask questions and find out more about the process. Get the offer: Once you receive an offer, you have up to seven days to consider it as long as no changes have been made to the vehicle in the meantime. You can trade it in that day or take some time to think it over if you’d like. 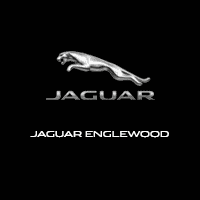 At Jaguar Englewood, we’re looking to buy your used Jaguar model from you and help get you into a new one whether you decide to buy from us or not. View our new vehicle specials, compare our models, and contact us today with any questions.